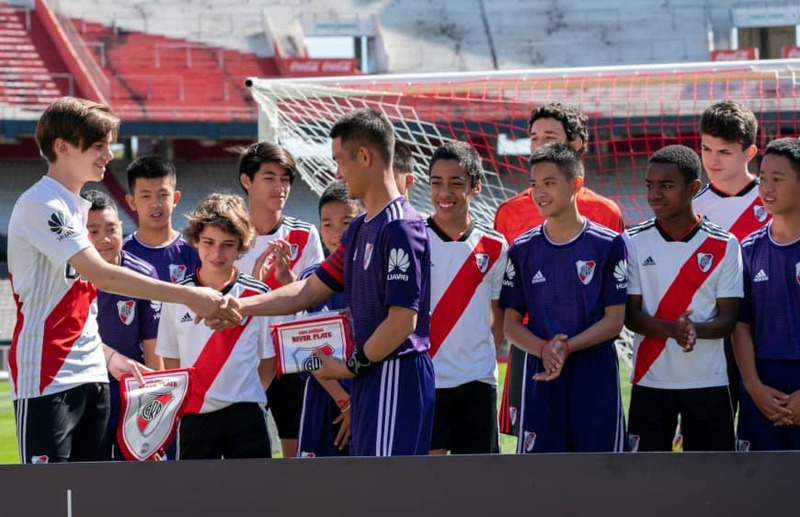 BUEN OS AIRES â" Twelve Thai boys and their soccer coach, who were dramatically rescued from a flooded cave in July, enjoyed a high-profile kick-about on Sunday, playing a game at River Plateâs iconic Monumental stadium. The team, known as the âWild Boars,â are honored guests at the Youth Olympics in the Argentine capital after their rescue gripped the world. Dressed in violet jerseys with the team logo of the record Argentine champions, they faced Riverâs under-13 team, entering the pitch to loud applause from their opponents. âThe kids are very happy to be here, very excited,â said Werachon Sukondhapatipak, head of the Thai delegation. âIt is something important to be there to discover the Youth Olympics and to show their appreciation to the world. The team were greeted by Rodolfo DâOnofrio, president of River Plate, whose vast stadium was the site of the 1978 World Cup final. âItâs really a spectacular moment because these boys have lived really terrible moments,â DâOnofrio said. âWe are very happy to receive them to play a one-hour football game. âWe offered them the complete equipment â¦ today they were players of River Plate. The boys, aged 11 to 16 at the time, and their 25-year-old coach, Ekapol Chanthawong, had been exploring Chiang Raiâs Tham Luang cave on June 23 when they became trapped.